To reduce your cost, Brandsport offers this item in Bulk (sold here individually). Gorilla also lists this same item in a 4-piece set as Display Package # 41137LT. Enjoy the lasting beauty with Gorilla Lifetime lug nuts. Gorilla Lifetime lug nuts are precision manufactured to be the best. 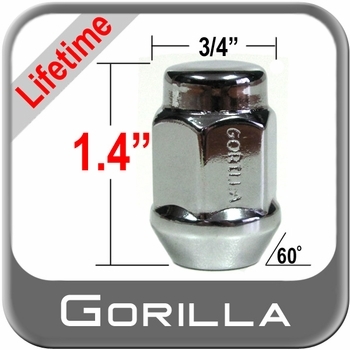 See the difference these Gorilla Lifetime lug nuts will make when you put them on your wheels. 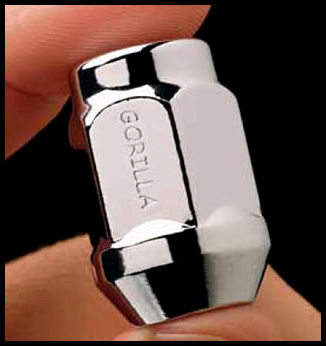 Gorilla Lifetime lug nuts meet the 5-point quality control standards. what I was looking for, not those cheap ones with the metal caps that come off. Brandsport delivered the product quickly. The lug nuts were as advertised. They appear to be a quality product.